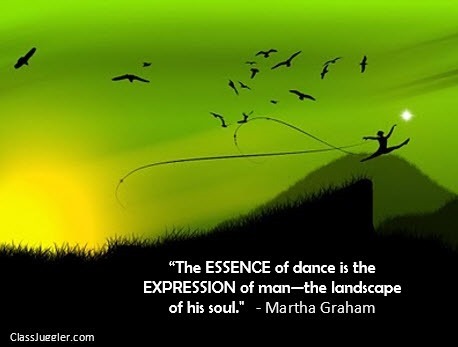 An inspiring quote from Martha Graham. Share with your students! For more inspiring quotes for your dance studio or personal inspiration, follow us here at Pinterest or on our Facebook page. Learn more about our business software for dance schools at DanceClassjugger.com. This entry was posted in ClassJuggler Dance and tagged dance, dance studio, dance teachers, dancing, Martha Graham on December 7, 2015 by classjuggler.